The sulfanes H2S n form a long series of homologous chain-like molecules, starting with hydrogen sulfide and running at least up to H2S35. These molecules are the parent compounds of numerous derivatives with either organic or inorganic substituents. 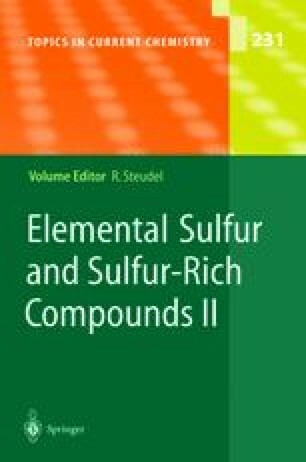 In this chapter the preparation, structures, physical and chemical properties as well as the spectra of the sulfanes with ≥2 sulfur atoms are reviewed. In the literature these species are termed either sulfanes , polysulfanes, or hydrogen polysulfides .